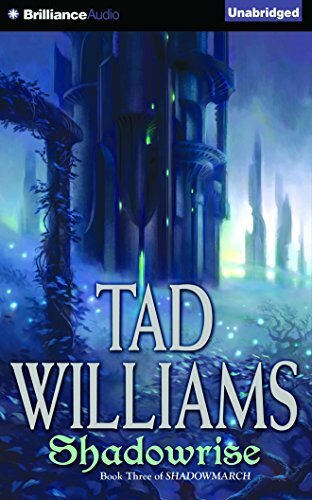 9780756412487 | Daw Books, January 3, 2017, cover price $22.00 | About this edition: New York Times-bestselling Tad Williams’ ground-breaking epic fantasy saga of Osten Ard begins an exciting new cycle! 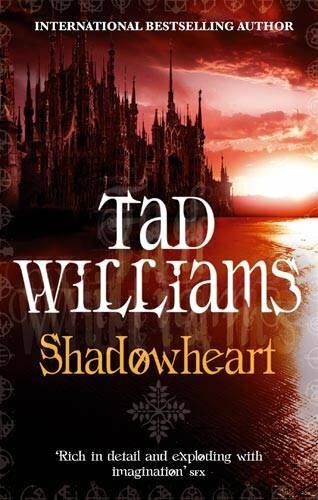 9780756406455 | Reprint edition (Daw Books, November 1, 2011), cover price $8.99 | also contains Shadowrise | About this edition: A year ago, the March Kingdoms were at peace, the Eddon family held the throne, and all was right in Southmarch Castle. 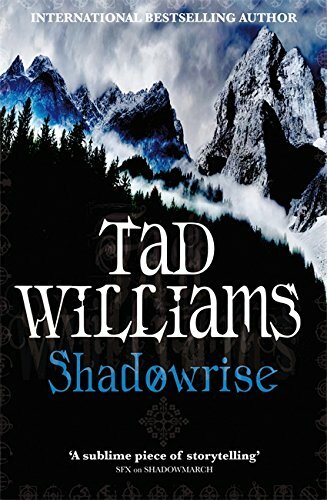 9781841492964 | Gardners Books, January 20, 2011, cover price $16.30 | also contains Shadowrise | About this edition: As shadows threaten to consume the kingdom of Southmarch, Barrick Eddon, heir to March throne, battles his way across the sinister Shadowlands. 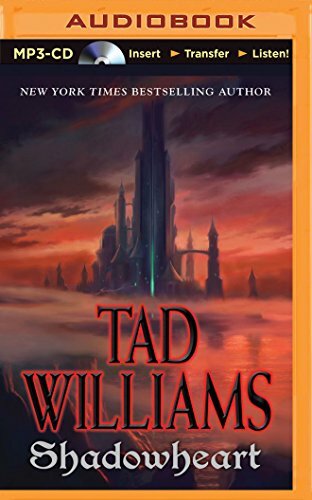 9781501273742 | Unabridged edition (Brilliance Audio, December 1, 2015), cover price $24.99 | About this edition: Southmarch Castle is about to be caught between two implacable enemies, the ancient, immortal Qar and the insane god-king, the Autarch of Xis. 9781501233678 | Mp3 una edition (Brilliance Audio, January 13, 2015), cover price $14.99 | About this edition: Southmarch Castle is about to be caught between two implacable enemies, the ancient, immortal Qar and the insane god-king, the Autarch of Xis. 9780756407650 | Reprint edition (Daw Books, November 6, 2012), cover price $8.99 | About this edition: "When it comes to inventing new worlds, he's as skilled as J. 9780756406950 | Reprint edition (Daw Books, November 1, 2011), cover price $16.00 | About this edition: "When it comes to inventing new worlds, he's as skilled as J. 9781501283741 | Mp3 una edition (Brilliance Audio, August 11, 2015), cover price $9.99 | About this edition: Thousands of years ago the gods fought and fell in the deeps beneath what is now Southmarch Castle, then were banished into eternal sleep. 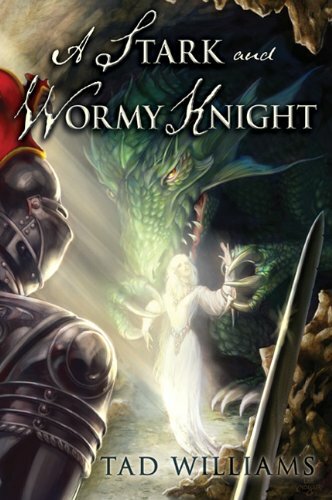 9781441891204 | Unabridged edition (Brilliance Audio, November 30, 2010), cover price $39.99 | About this edition: Thousands of years ago the gods fought and fell in the deeps beneath what is now Southmarch Castle, then were banished into eternal sleep. 9781441891228 | Mp3 una edition (Brilliance Audio, November 30, 2010), cover price $27.99 | About this edition: Thousands of years ago the gods fought and fell in the deeps beneath what is now Southmarch Castle, then were banished into eternal sleep. 9780756408893 | Daw Books, September 2, 2014, cover price $25.95 | About this edition: Where does an angel go when he's been to Hell and back? 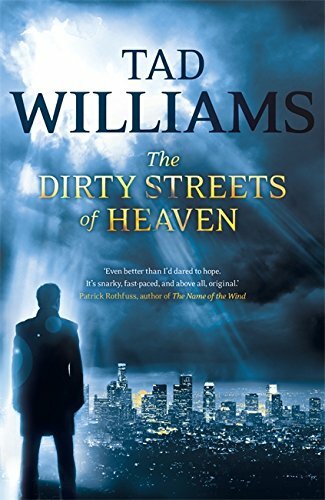 9780756409876 | Daw Books, September 1, 2015, cover price $7.99 | About this edition: Where does an angel go when he's been to Hell and back? 9781616961374 | Tachyon Pubns, May 13, 2014, cover price $15.95 | About this edition: Within these pages you will find such delightful and curious things as a strange storytelling vampire, two woefully-overmatched angels, a dragon in cahoots with a knight and a witch, an ineptly duplicitous fish, the loyal robot butler of Werner Von Secondstage Booster, and the Greatest Wizard of All (disputed). 9781444738605 | Hodder & Stoughton, September 26, 2013, cover price $31.45 | About this edition: Iâve been told to go to Hell more times than I can count. 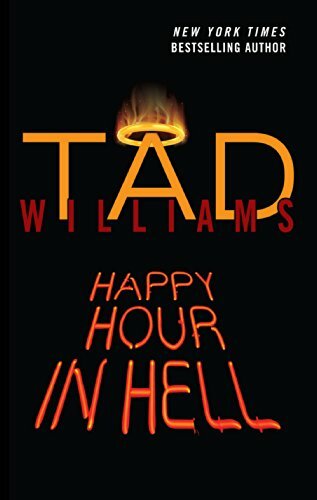 9780756408152 | Daw Books, September 3, 2013, cover price $25.95 | About this edition: Iâve been told to go to Hell more times than I can count. 9780756409487 | Daw Books, July 1, 2014, cover price $7.99 | About this edition: Iâve been told to go to Hell more times than I can count. 9781444738551 | Hodder & Stoughton, September 13, 2012, cover price $31.45 | About this edition: Bobby Dollar is an angelâa real one. 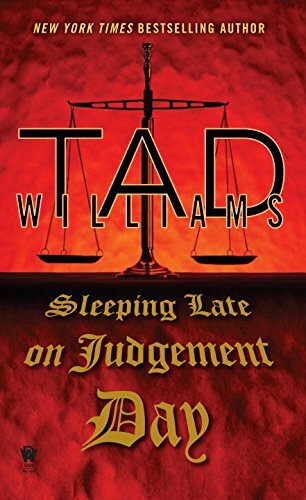 9781596064614 | Subterranean, June 30, 2012, cover price $40.00 | About this edition: Tad Williams is an acknowledged master of the multi-volume epic. 9781841499246 | Gardners Books, November 3, 2011, cover price $14.65 | About this edition: Barrick Eddon, prince of Southmarch, is no longer entirely human. 9780756405496 | 1 edition (Daw Books, March 2, 2010), cover price $27.95 | About this edition: With King Olin imprisoned and Prince Kendrick slain, the royal twins Barrick and Briony have been forced to flee their homeland. 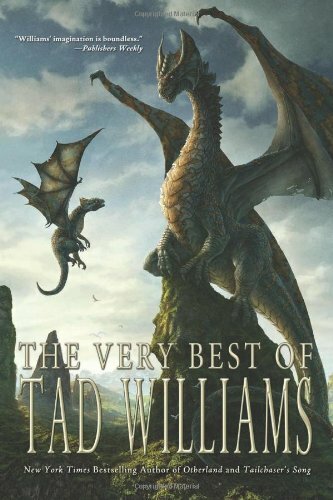 9780756406417 | Reprint edition (Daw Books, November 2, 2010), cover price $16.00 | About this edition: The penultimate volume in Tad Williams's first epic fantasy series since his bestselling Memory, Sorrow and Thorn. 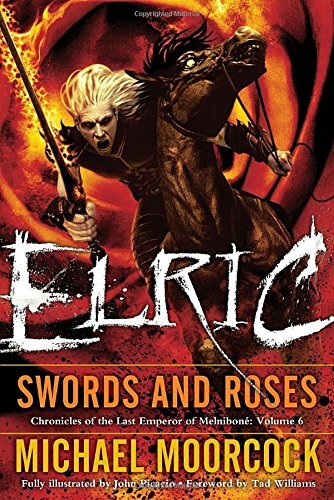 9780345498670, titled "Elric Swords and Roses: Swords and Roses" | Del Rey, December 28, 2010, cover price $16.00 | About this edition: Foreword by Tad WilliamsFeared by enemies and friends alike, Elric of Melniboné walks a lonely path among the worlds of the Multiverse. 9781441891211 | Unabridged edition (Brilliance Audio Lib Edn, November 30, 2010), cover price $99.97 | About this edition: Thousands of years ago the gods fought and fell in the deeps beneath what is now Southmarch Castle, then were banished into eternal sleep. 9781441891235 | Mp3 una edition (Brilliance Audio Lib Edn, November 2, 2010), cover price $39.97 | About this edition: Thousands of years ago the gods fought and fell in the deeps beneath what is now Southmarch Castle, then were banished into eternal sleep. Now the family has been shattered. King Olin Eddon is a prisoner in a faraway land. Olin's heir Kendrick is dead â slain by treachery and dark, bloody magic â and Kendrick's younger brother and sister have barely escaped several attempts on their own lives. With their father and brother taken from them, the royal twins Barrick and Briony have done their best to hold the kingdom together. Old magics are stirring beneath the ancient castle and behind the Shadowline, and the machinations of gods, fairies, and mortals threaten to spread devastation across the entire world. 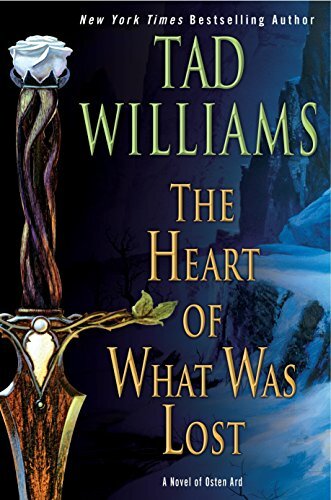 Even if Barrick and Briony survive learning the astonishing truths at the heart of their own family and of Southmarch itself, they must still find a way to do the impossible: they must reclaim their kingdom and rescue their home and people from a multitude of powerful enemies â from traitors, tyrants, a god-king, and even the angry gods themselves. 9781441891112 | Mp3 una edition (Brilliance Audio Lib Edn, November 2, 2010), cover price $39.97 | About this edition: Now the family has been shattered. For generations the misty Shadowline has marked the boundary between the lands of men and the lost northern lands that are the lair of their inhuman enemies, the ageless Qar. But now that boundary line is moving outward, threatening to engulf the northernmost land in which humans still live â the kingdom of Southmarch. For centuries, the Eddon family has ruled in ancient, forbidding Southmarch Castle, guarding the border against the Qar's return, but now this powerful royal line has been dealt a devastating blow. The monarch, King Olin, is being held captive in a distant land, and it falls to his inexperienced heirs to lead their people in a time of growing danger and dread. It is on the two youngest Eddons that the heaviest burdens fall. The twins Barrick and Briony, who in such evil times have only each other, may lose even that bond as darkness closes over them. 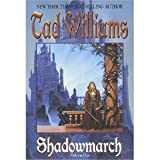 As the Qarâs power reaches out across their land, will Southmarch Castle, the only home theyâve ever known, become in fact what it has long been called â Shadowmarch? 9781441891037 | Unabridged edition (Brilliance Audio Lib Edn, November 2, 2010), cover price $99.97 | About this edition: For generations the misty Shadowline has marked the boundary between the lands of men and the lost northern lands that are the lair of their inhuman enemies, the ageless Qar. 9781841492933 | Gardners Books, March 4, 2010, cover price $30.95 | About this edition: With King Olin imprisoned and Prince Kendrick slain, the royal twins Barrick and Briony have been forced to flee their homeland. 9781841498409 | Gardners Books, May 29, 2009, cover price $17.90 | About this edition: In Osten Ard, the evil of the Storm King covers the land and the country is riven by war. 9780756402976 | Reprint edition (Daw Books, April 30, 2005), cover price $17.00 | About this edition: Battered remnants of the human army flee the evil forces of Ineluki the Storm King, desperately seeking a mysterious sanctuary called the Stone of Farewell and a solution to their dire peril. 9781857237863 | New edition (Gardners Books, December 5, 1991), cover price $14.80 | About this edition: Book two of the epic Memory, Sorrow and Thorn series, reissued with a stunning new cover. 9781417779826 | Turtleback Books, August 1, 1991, cover price $19.70 | About this edition: In Osten Ard, the evil of the Storm King covers the land and the country is riven by war. 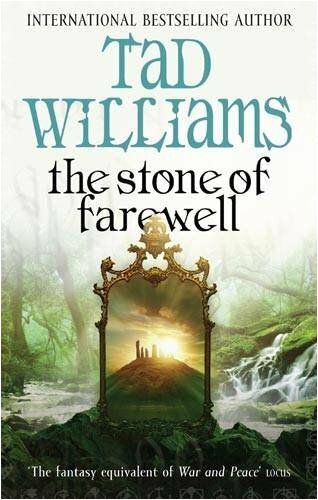 9781417779857 | Turtleback Books, July 1, 1994, cover price $19.70 | About this edition: New York Times-bestselling Tad Williamsâ landmark epic fantasy saga of Osten Ard begins an exciting new cycle! 9780345475770 | Reprint edition (Del Rey, October 26, 2004), cover price $7.99 | About this edition: A collection of short fiction and novels by leading fantasy authors journeys to the worlds of imagination they created in their works, with contributions by Terry Brooks, Orson Scott Card, Diana Gabaldon, Anne McCaffrey, and Neil Gaiman. 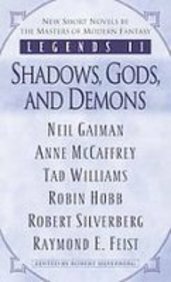 9781435291126 | Reprint edition (Paw Prints, May 29, 2008), cover price $16.99 | also contains Legends II: Shadows, Gods, and Demons | About this edition: Fantasy fans, rejoice! 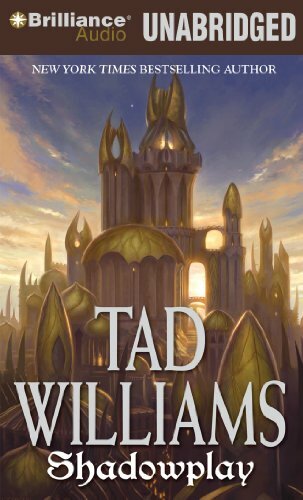 9780756403584 | Daw Books, March 6, 2007, cover price $26.95 | About this edition: With the fate of humanity hanging in the balance, twins Barrick and Briony must save Southmarch Castle and the surrounding lands from their inhuman enemies. 9781841492919 | Gardners Books, March 6, 2007, cover price $32.85 | About this edition: Book two of the most exciting new epic fantasy series of the decade. 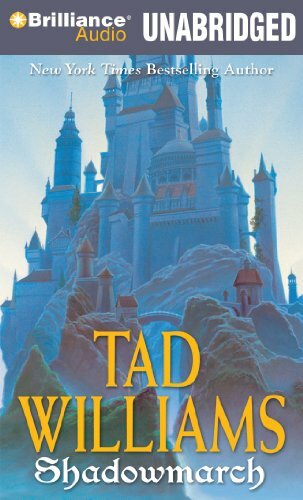 9780756405441 | Reprint edition (Daw Books, April 7, 2009), cover price $8.99 | About this edition: A year ago, the March Kingdoms were at peace, and the Eddon family held the throne. 9781841492940 | Gardners Books, March 6, 2008, cover price $17.90 | About this edition: With their father and brother taken from them, the royal Eddon twins Barrick and Briony have done their best to hold the kingdom together. 9780756404710 | Reprint edition (Daw Books, March 4, 2008), cover price $16.95 | About this edition: With their father and brother taken from them, the royal Eddon twins Barrick and Briony have done their best to hold the kingdom together. 9781441891082 | Unabridged edition (Brilliance Audio, November 2, 2010), cover price $39.99 | About this edition: Now the family has been shattered. 9781441891105 | Mp3 una edition (Brilliance Audio, November 2, 2010), cover price $27.99 | About this edition: Now the family has been shattered. 9781596060661 | Subterranean, December 30, 2006, cover price $40.00 | About this edition: A collection of short fiction and other works includes fifteen short stories written for various anthologies, including the original version of 'Child of an Ancient City,' six essays, and three television concepts. 9781596061644, titled "Rite: Short Work" | Diamond Comic Distributors, May 1, 2008, cover price $14.95 | About this edition: Rite: Short Work gives ample evidence of Tad Williams as an accomplished practitioner of the short form! 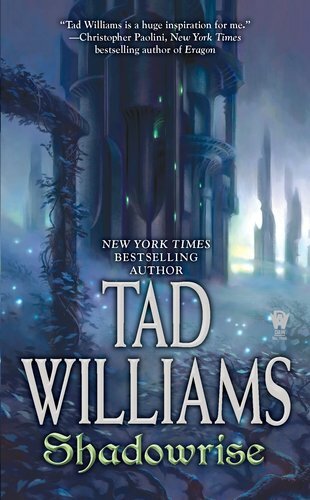 9780756402198 | Daw Books, November 1, 2004, cover price $25.95 | About this edition: With the fate of humanity hanging in the balance, twins Barrick and Briony must save Southmarch Castle and the surrounding lands from their inhuman enemies. 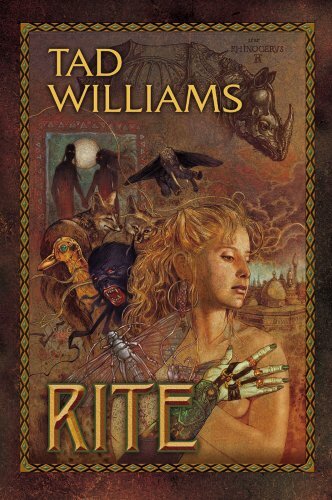 9780756403591 | Reprint edition (Daw Books, September 5, 2006), cover price $8.99 | About this edition: With the fate of humanity hanging in the balance, twins Barrick and Briony must save Southmarch Castle and the surrounding lands from their inhuman enemies, the ageless Qar. 9781841494432 | Reprint edition (Gardners Books, March 2, 2006), cover price $16.30 | About this edition: The launch of the most exciting new epic fantasy series of the decade. 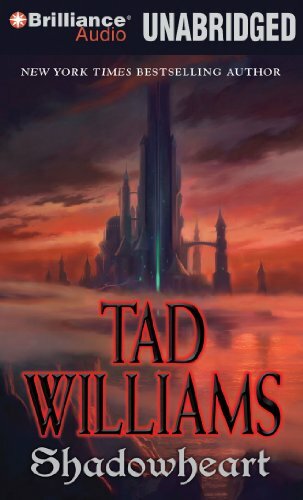 9780756402709 | Reprint edition (Daw Books, November 1, 2005), cover price $15.95 | About this edition: With the fate of humanity hanging in the balance, twins Barrick and Briony must save Southmarch Castle and the surrounding lands from their inhuman enemies. 9781841492896 | Gardners Books, November 4, 2004, cover price $23.40 | About this edition: From the author of the 'Memory, Sorrow and Thorn' series comes a new epic fantasy series. 9781441891044 | Mp3 una edition (Brilliance Audio, November 2, 2010), cover price $27.99 | About this edition: For generations the misty Shadowline has marked the boundary between the lands of men and the lost northern lands that are the lair of their inhuman enemies, the ageless Qar. 9781441891020 | Unabridged edition (Brilliance Audio, November 2, 2010), cover price $39.99 | About this edition: For generations the misty Shadowline has marked the boundary between the lands of men and the lost northern lands that are the lair of their inhuman enemies, the ageless Qar.